One day when he was helping in the forest at a woodcutters' demonstration, William was left speechless at the result and said to himself: why not have a go? That's how Wils came to create sculptures of people, a toboggan, skiers, animals and flowers. His amazing work is on view on the bisse (canal) at Verbier. 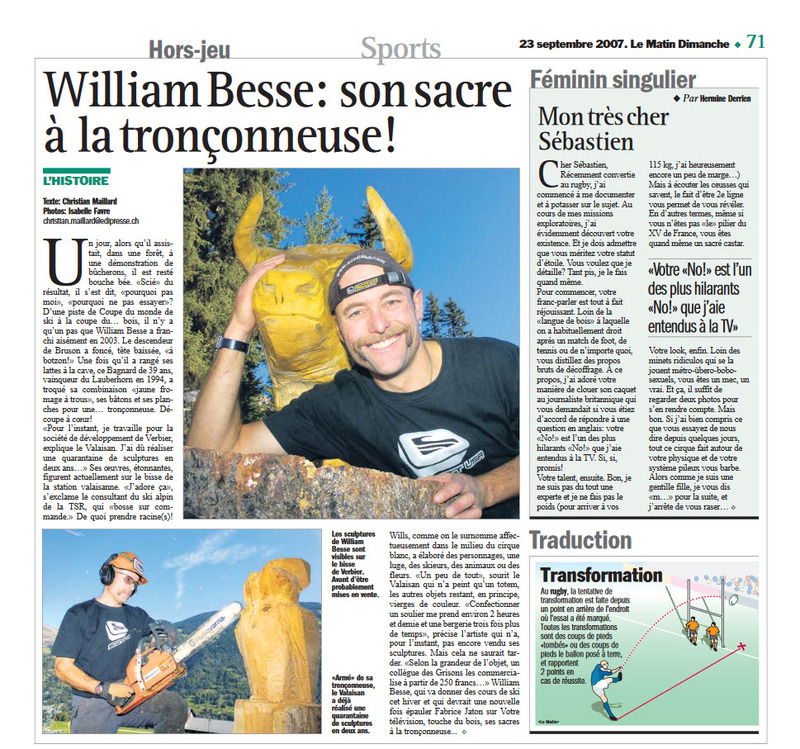 "William Besse: his chainsaw devotion"